There is very limited parking available at the rear of the rooms which can only be accessed via Ashley Lane. Please note that this is a one way street and must be entered off Railway Parade. Availability of parking at this location cannot be guaranteed and parents are strongly encouraged to investigate public transport options. 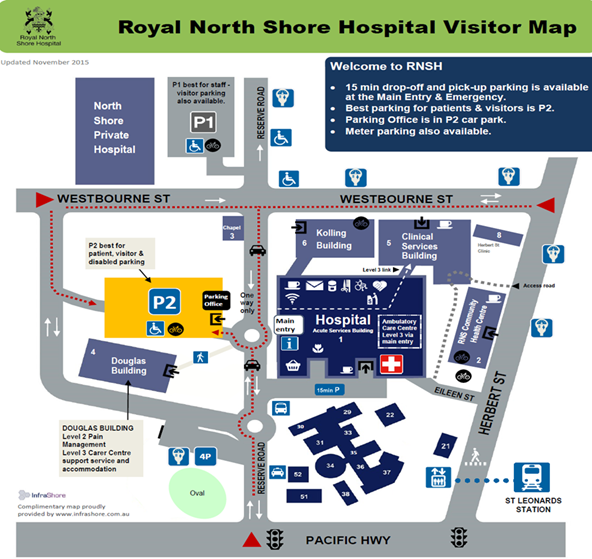 There is also limited additional metered parking on surrounding streets or paid parking available in the visitors car parks of both Westmead Hospital at The Children’s Hospital at Westmead. The rooms are very close to Westmead Railway station and are well served by local bus routes.